7 parts. Nearly 60 segments. 12 hours of video. I'm very pleased to announce that my 7-part course Intro To Hand Tools is now available in downloadable video form at Popular Woodworking Magazine's ShopWoodworking.com. 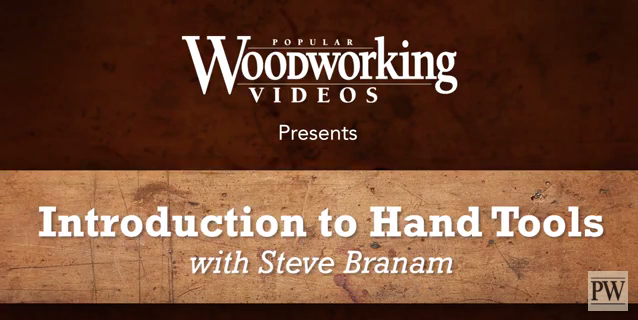 Each part consists of a series of segments, for a total of 12 hours of video instruction. 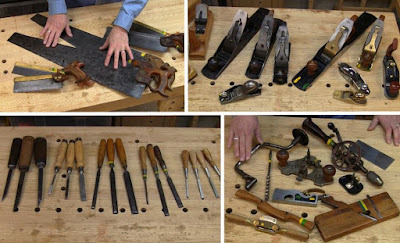 Learn how to use these and other hand tools. Part 1: Welcome! is available for free on their YouTube channel. It covers general introduction, a quick summary of the tools, safety, and details about the types of handsaws and handplanes. For a detailed guide to the segments in each part, see this blog post. There are nearly 60 segments in all.